When thinking back to previous computer usage it is somewhat funny to remember how data storage has increased exponentially over the years and probably beating Moore’s Law by miles. I still remember the day people told me why we needed a 486SX (25Mhz) with a whopping 170MB HDD. In more recent times I was happy to have a a laptop with 120GB HDD space. Until some months ago that is. When I upgraded my white MacBook to a unibody with 250GB HDD this Spring I also ditched the ‘it’s a laptop’ concept and started carrying more and more media files with me. 30GB quickly became a 100GB partition with less than 20GB available. The same 20GB barrier has been crushed weeks ago already on my main partition, the OS one. 20GB being important here because it is the moment my OCD gets triggered and I start panicking about not having enough of free space on my drives. Yes, 20GB free space makes me panic! 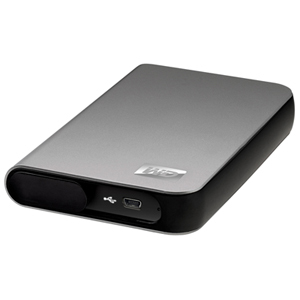 No need to say that I need a portable external hard drive, but what size to settle for. Fear no more, if you suffer the same problem as I do: Western Digital has just presented 2 new models of it’s My Passport Essential SE series. 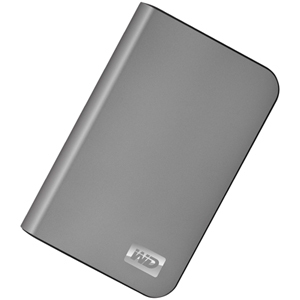 The standard features of these slick looking external hard drives are known and the My Passport Essential SE series is a huge success. Known for it’s slim size and reliability geeks and data huggers will rejoice with the 2 newly available sizes: 1TB and 750GB. The option for a 750GB model seems to make little sense at all, with the 500GB already on the market, but there’s this little detail: $200 vs for 750GB vs. $300 for 1TB. This is a rather huge difference. Nevertheless, I think I’ll go for the big one! 1TB USB powered external data storage should be sufficient for my pr0n movie collection I could never watch more than 2 movies in a row off while on the road because of the limited battery power, but I still want storage! One can never have enough of space for data! Western Digital’s option surely will is cheaper than the new announced Sony 2TB memory stick but will it fit as well in your pants?